“How long after a short sale before I can buy another home?” This is one of the most frequent questions I get asked, and my answer is- “It depends”. The waiting period after a short sale depends on the type of loan you want so that’s why it’s confusing to consumers. If your cousin had an FHA loan, she may have only had to wait 3 years, but if you finance more than 90% with a Fannie Mae loan, you may have to wait 7 years. That’s why it’s important to really understand your options. 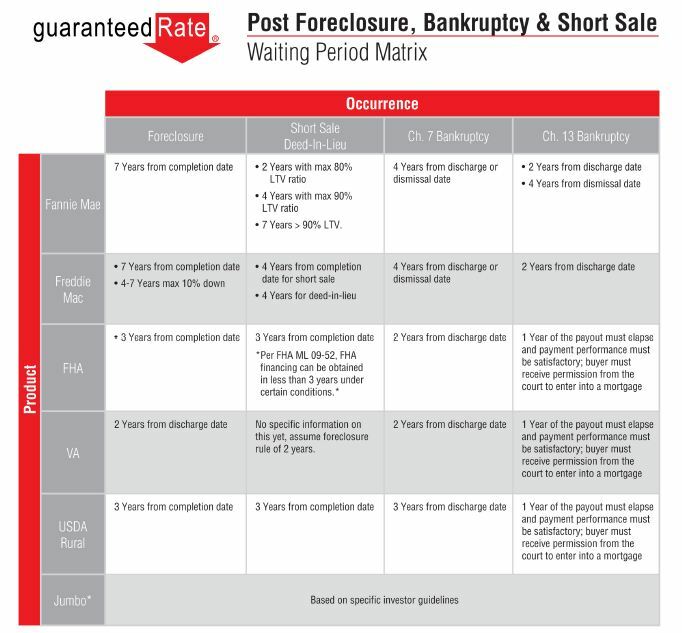 I just found a helpful Foreclosure, Bankruptcy, Short Sale Waiting Period Matrix (below) that gives you this information in an easy-to-use format. Created by Dean Wegner at Guaranteed Rate, this is a handy guide to help you not only determine when you can buy again, but if you are a seller trying to decide whether a short sale is for you, this can help you make sense of your options. As always, this is general information, your personal situation may vary and this information changes periodically so, please talk to advisers for details.  Looking to buy short sales in the Greater Dayton area? Try this free search tool! If you have any questions about selling your home through a short sale, or whether or not a short sale is right for you, don’t hesitate to give me a call, Teri Lussier, Certified Default Resolution Specialist (CDRS), THE HOME GROUP REALTY, 937-478-7781.